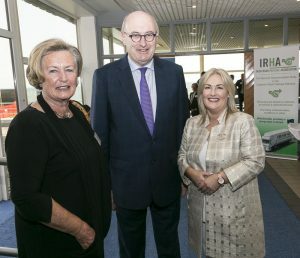 Speaking on Monday at a special conference on Brexit entitled “Keeping trade flowing”, organized by the Irish Road Haulage Association (IRHA) and hosted by Rosslare Europort, EU Commissioner Phil Hogan said that Ireland must prepare for a scenario where the UK leaves the EU without agreement next March, meaning a hard Brexit. Commissioner Hogan was highly critical of the lack of workable proposals coming from Westminster and said:“that the latest episodes of the Brexit reality show have shown us Prime Minister May battling with the mutineers, and the mutineers battling with each other. This means that, less than two weeks out from a key meeting of EU leaders, which is supposed to settle this very question, we are no closer to the UK converging around a real, workable solution”.